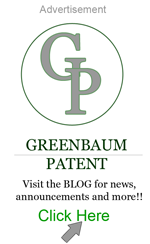 America Invents Act - Greenbaum P.C. The America Invents Act previously known as the Patent Reform Act of 2011, is expected to be signed into law this week by President Obama. This is major reform to our patent system and it makes sense to familiarize yourself with the changes. Here is a summary from Sen. Leahy that describes the key aspects of the new law. Here are some additional links that discuss the bill in more detail and offer editorial comments.